How do we create a website that connects with new people? 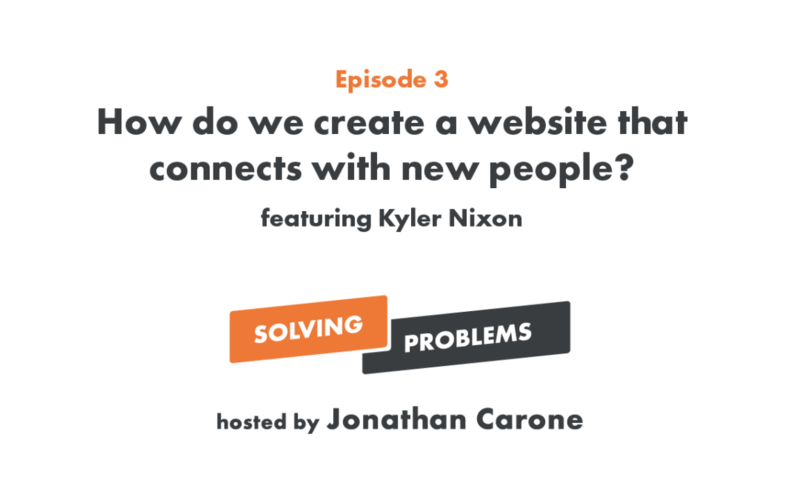 Kyler’s in for the full episode and we’re talking websites! We hit on why your words matter (3:57), examples of great website headlines (7:43), and what should go on your home page (11:15). We also give you some questions to consider about your website (15:02) and tell you why your next steps on your website are probably wrong (19:37). Oh! And Kyler makes a reference that’s probably a little inappropriate but was perfect (21:25) and we give you a wireframe you can use for your home page (23:01). Don’t forget to Subscribe, Rate, and Review us!